Thermodynamics is an indispensable tool for developing a large and growing fraction of new polymers and polymer blends. These two volumes show the researcher how thermodynamics can be used to rank polymer pairs in order of immiscibility, including the search for suitable chemical structure of compatibilizers. Because of the great current commercial interest in this most dynamic sector of the polymer industry, there is high interest in studying their physical and mechanical properties, their structures, and the processes of their formation and manufacture. 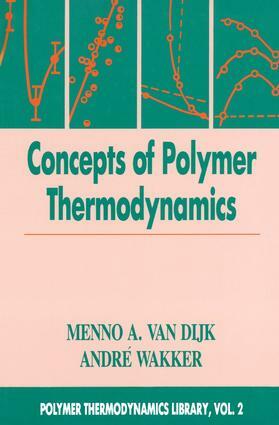 These Books are dedicated to Analysis of the Thermodynamics of Polymer Blends. Thermodynamic behavior of blends determines the compatibility of the components, their morphological features, rheological behavior, and microphase structures. As a result, the most important physical and mechanical characteristics of blends can be identified.